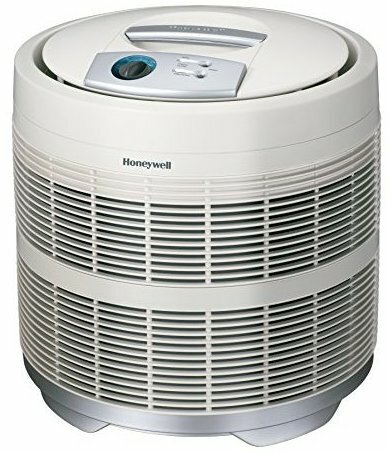 Round air purifier or larger rooms (up to 390 square feet in size). True HEPA filter removes 99.97 percent of common airborne pollutants as small as 0.3 microns Glass-fiber HEPA material also helps remove airborne particles, viruses and bacteria. 360-degree airflow, 3 speeds, carbon pre-filter,its a standard 120v wattage plug. Measures 18 by 18 by 19 inches; 5-year limited warranty.